SKC Co., chemical and tech material producing unit of Korea’s SK Group has done away with sections and divisions to enable staff to freely work wherever and whomever at its headquarter building depending on their project. 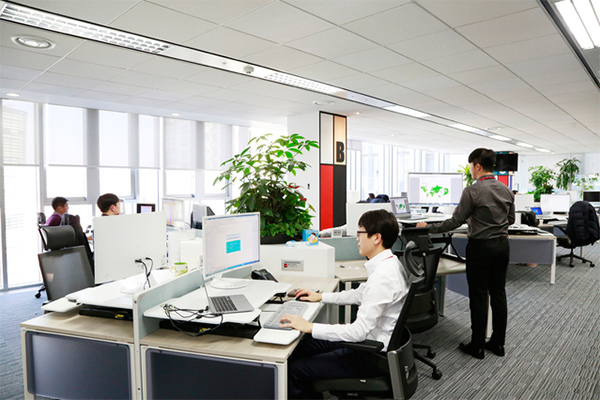 The headquarters building in central Seoul after four-month renovation has turned into expansive space – minus walls and fewer designated rooms – to promote co-sharing and open work space in hopes of generating more creative ideas by discarding the traditional office ambience. Big corporate names have been bringing in various changes to its rigid corporate culture in tune with the smart and digitalization age. 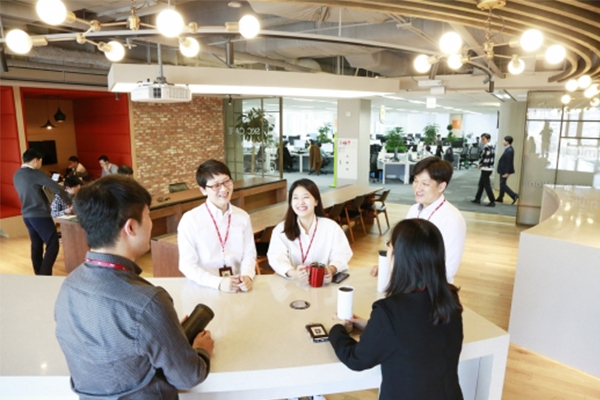 LG Electronics Co. recently has started to allow its engineers choose their own work station and also have remodeled part of its R&D center in Seocho, southern Seoul, as shared offices. Also, walls of conference rooms were replaced with glasses for openness and more common areas were added to allow employees to rest and exchange ideas.